What's a creative way to give an Easter egg? 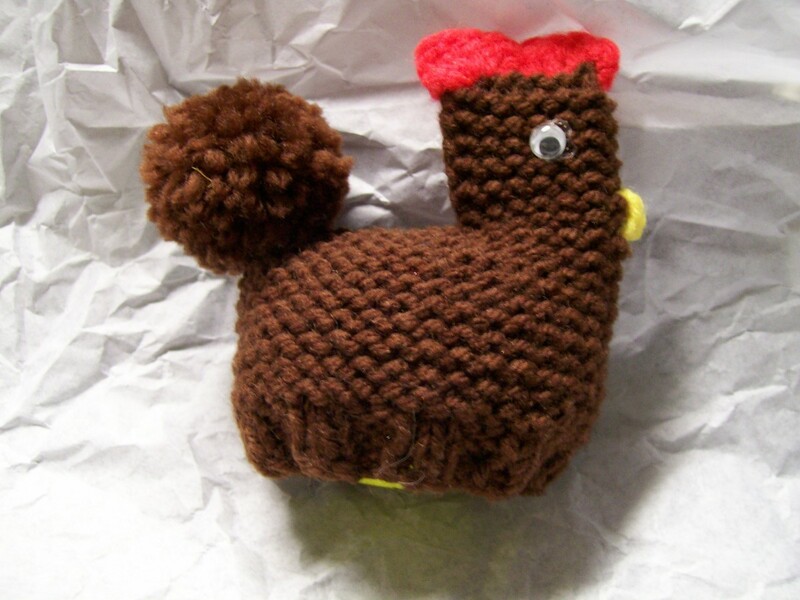 This is the story of my little knit chicken. 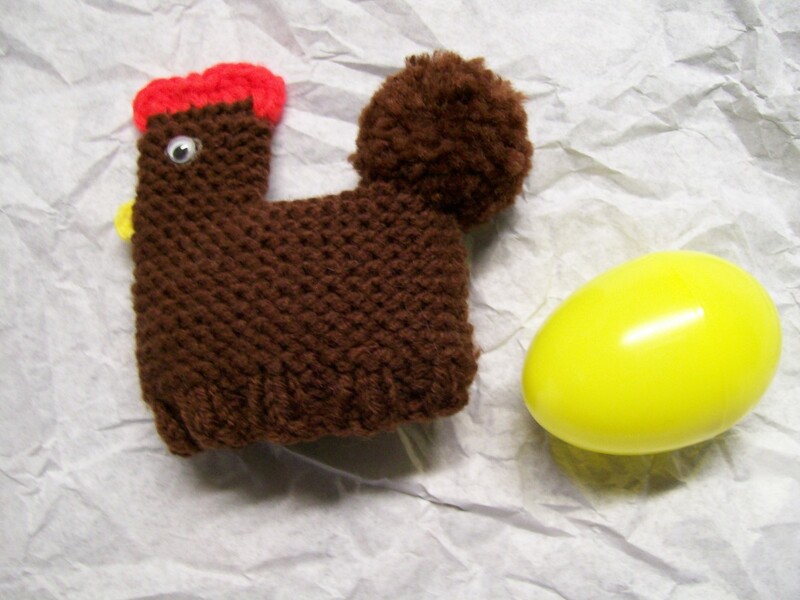 Back in the late 1960s or 1970s, my Grandmother gave each of us grandkids a chicken with a plastic egg that was filled with jelly beans inside as an Easter gift. 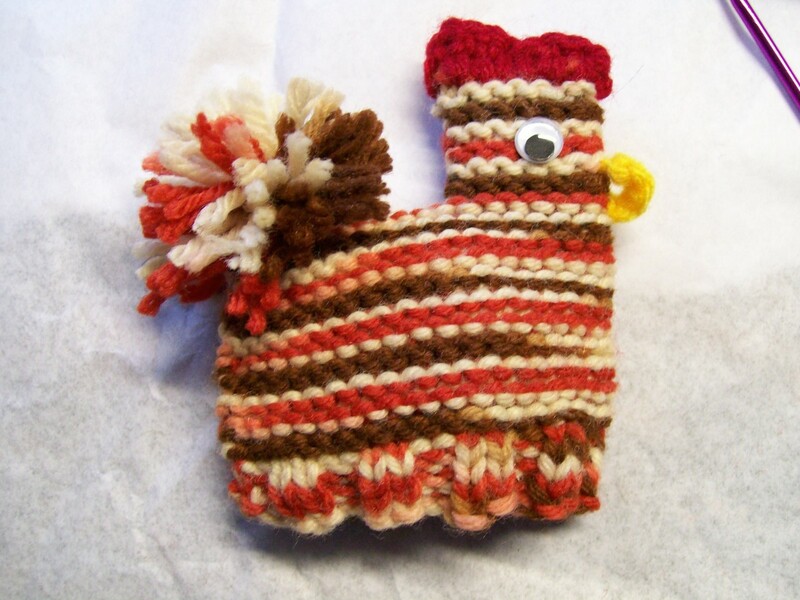 After I learned how to knit, I wanted to recreate this chicken for a class I was teaching at the time because it was an easy, simple pattern. I asked her a few times for a copy of the pattern or where she had found it, but I never got an answer. Since I could not get the pattern, I ended up creating my own by counting rows and stitches on the knit chicken I had from her. I came up with a pattern very similar to the original. 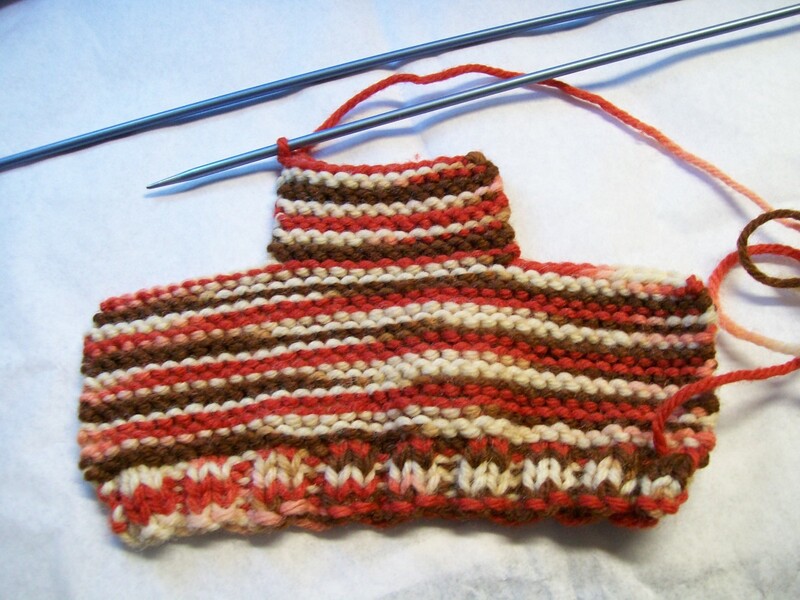 It was a simple garter stitch pattern for the body, ribbing for the base, and a pom-pom tail. 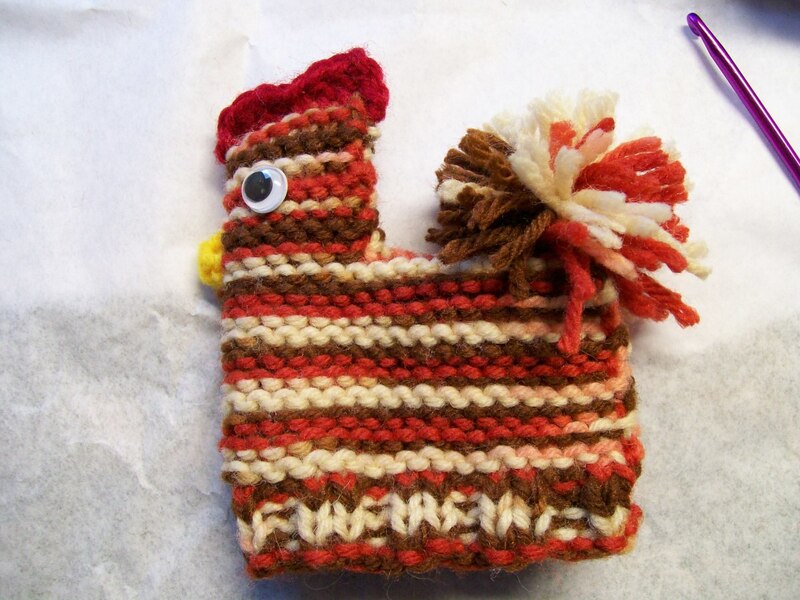 The eyes were sequins with beads on top (to hold the sequin in place) and were accompanied by a crocheted beak and comb. 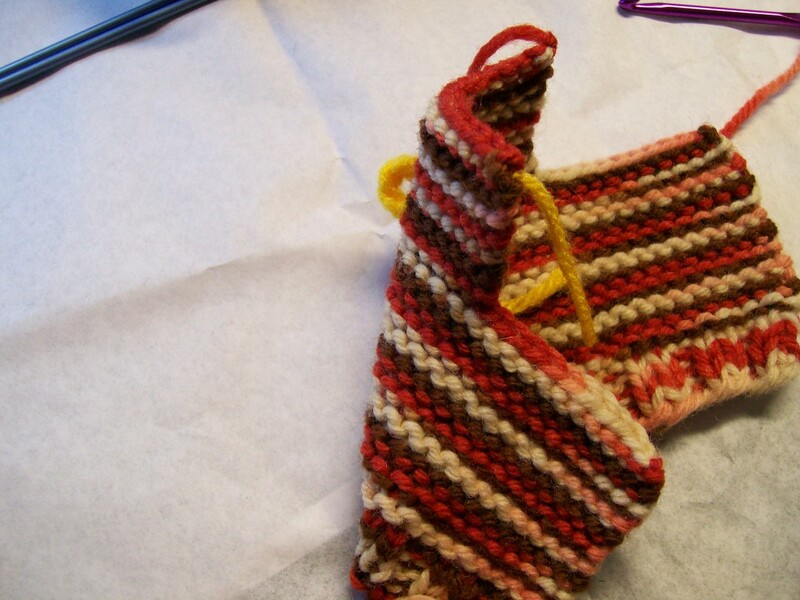 The pattern can be made with any color of yarn. It fits the basic plastic egg available around Easter season that is about the size of a regular (real) egg. 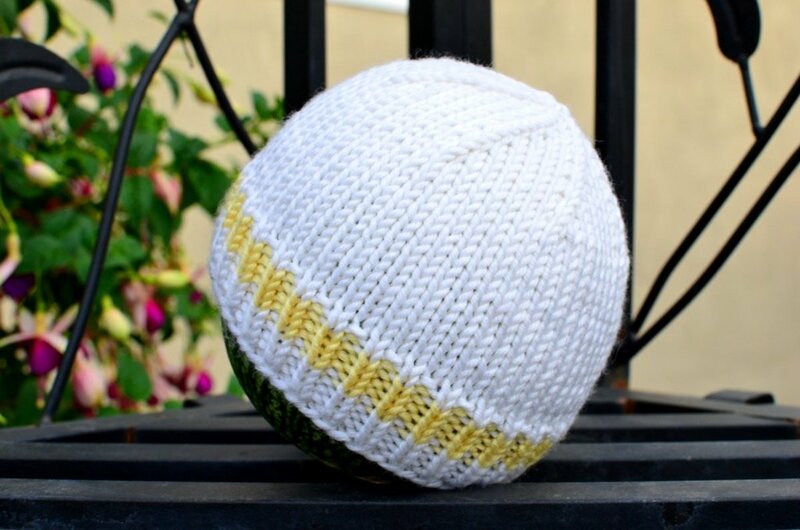 I guess it could also be used as an egg cozy for people who cook 3-minute eggs that they want to keep warm. A bigger chicken could fit a bigger plastic egg, but I think those are hard to find. The final product should fit an egg between a Grade AA Large and AA Medium. I have seen patterns for other egg-cover chickens but never another one exactly like this one. Starting with the Ribbing on the bottom. Bind off on one side for back of hen. Bind off on the other side for the back. Now work on the neck/head part. 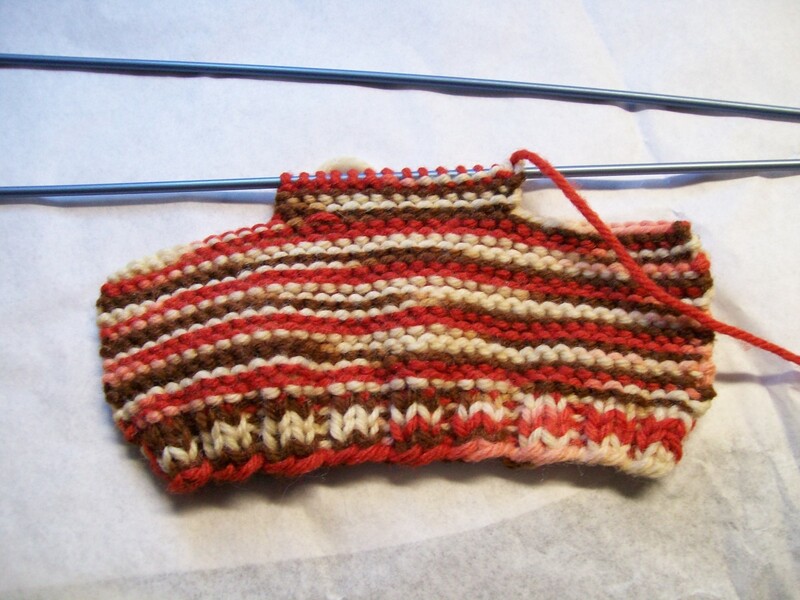 Bind off the top of the head when done with the neck/head part. 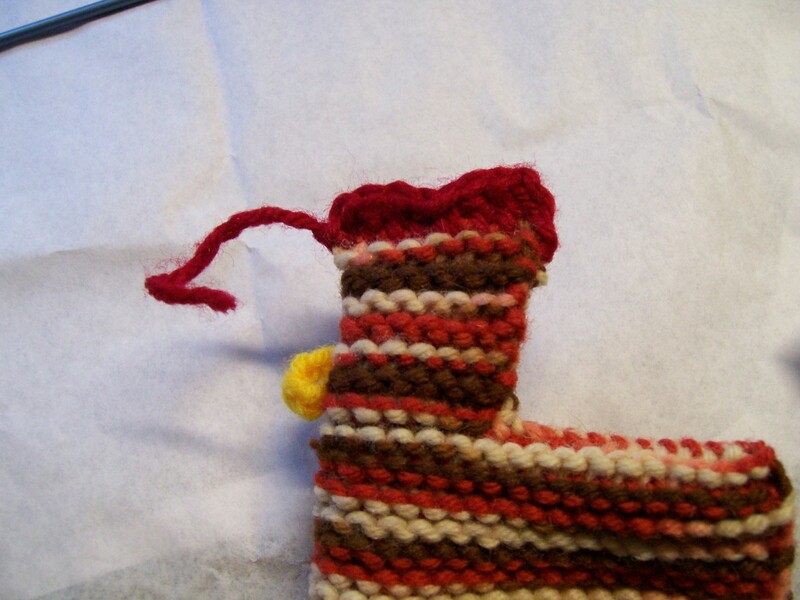 Make the Beak with about 3-4 chain stitches. Leave long ends to attach it. Attach the 3-4 chains for the Beak to the middle front of the face. Pull the ends to the inside and tie off the Beak. 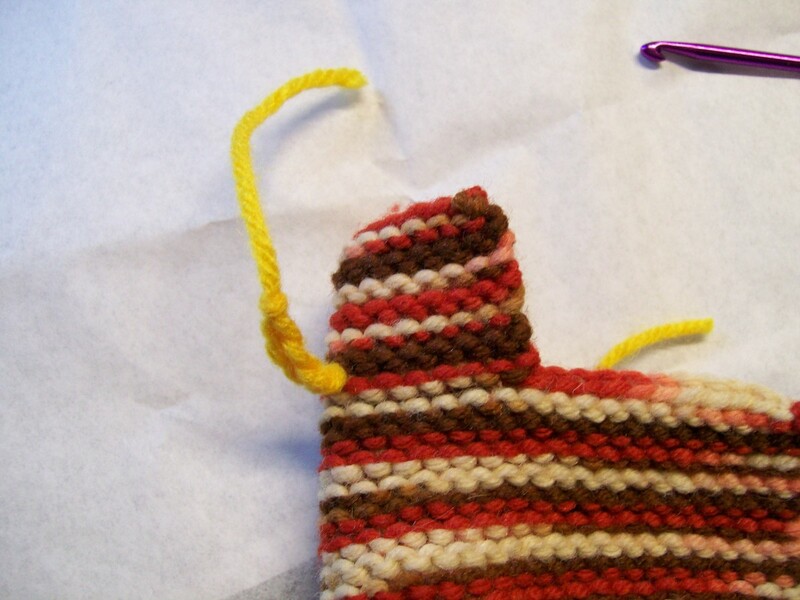 Fold in half to start sewing body from the top of the Head. Sew down the neck and then the back. 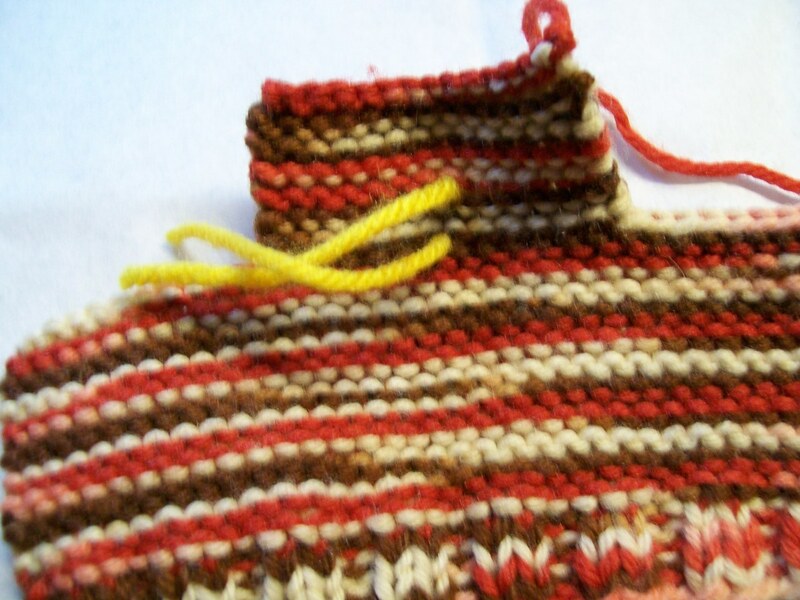 Sew down the ends of the rows for the bottom. Now you are ready to add the Comb to the top of the head. 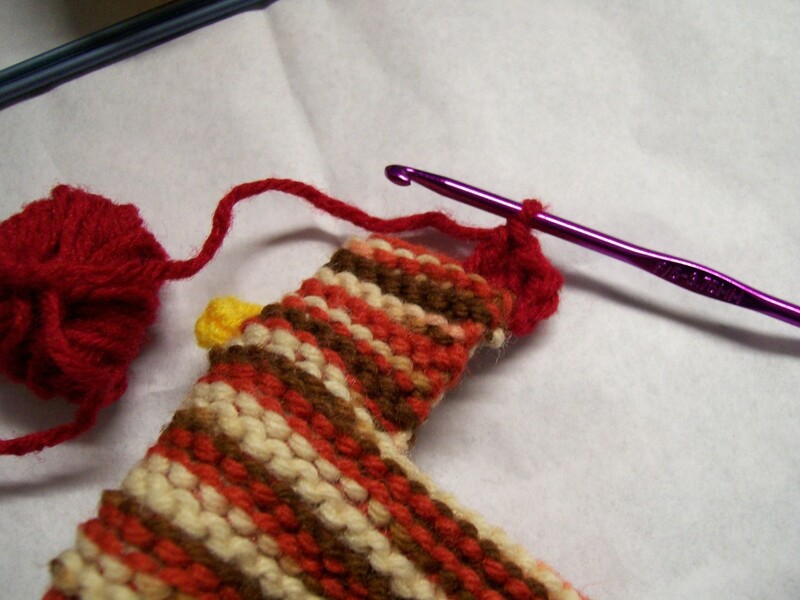 Insert the crochet hook at the back of the head. Start crocheting the comb from the back of the head. Work towards the front of the head and work through both sides, keeping the opening closed. Tuck in the loose ends to the inside. Make the Pompom for the tail. 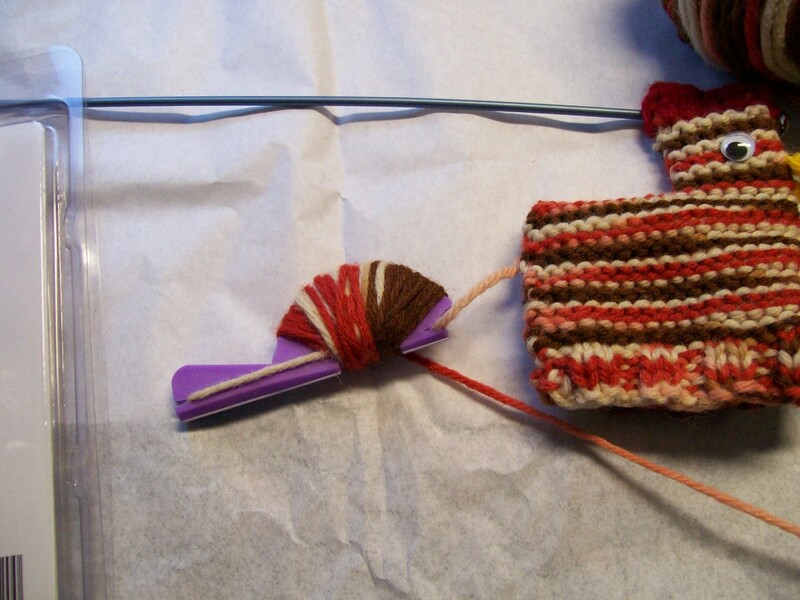 Pull the long ends of the tie on the pom to the inside through the back end. Tie the ends from the pom inside the body. You can put on the wiggle eyes with sewing thread, or you can glue them on with a fabric glue. Other side of chicken looks the same. Now insert an egg and you are done! 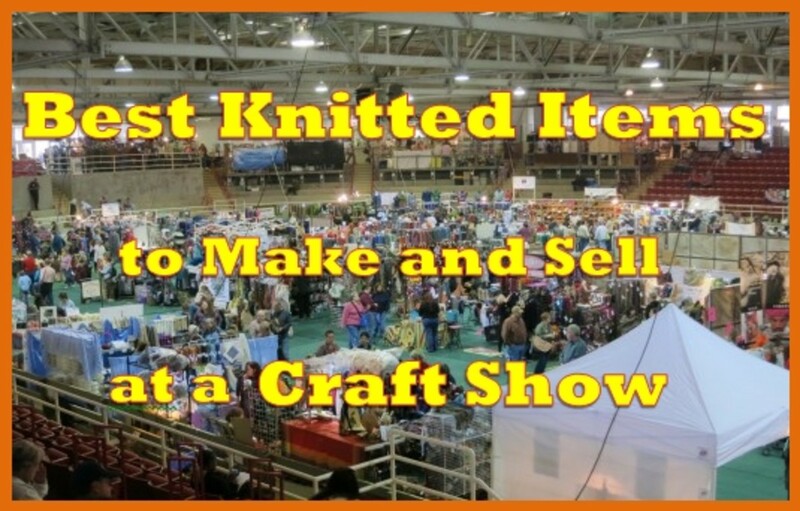 4-Ply Worsted Weight Yarn: Use whatever color yarn you want for the body of your chicken, a little yellow or orange for the beak, a little red for the comb, and something for the eyes like sew-on wiggle eyes. 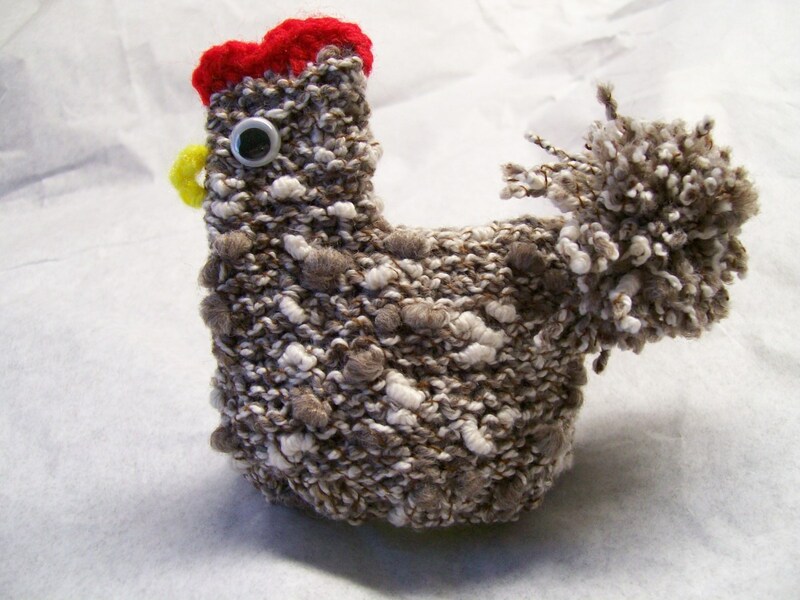 If you have "specialty" yarn (like silk and boucle) that needs to be handwashed only, it might be nice to make up a chicken that does not need to be washed at all. I found one that I made, and it looks unique compared to regular worsted weight yarn. USA Size 3 Straight Knitting Needles: You'll need bigger needles if you knit tightly and smaller needles if you knit loosely. 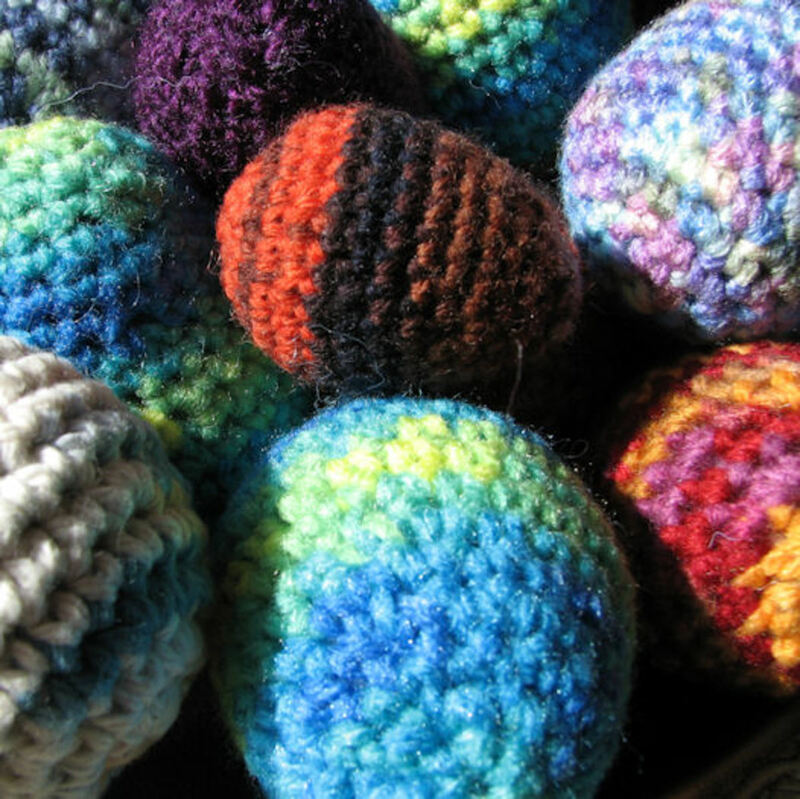 Pom-Pom Maker: I use a great little pom-pom maker, but any way you want to make one will work. 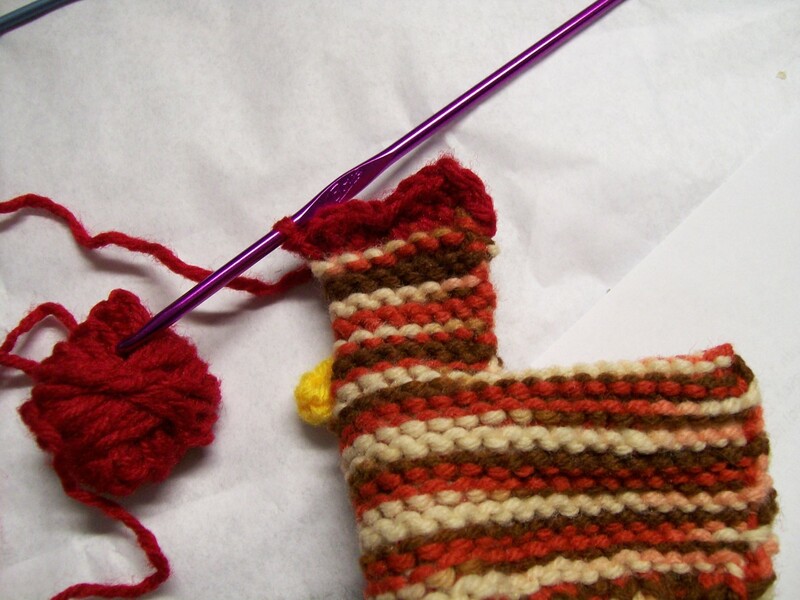 Just leave about 3-4” tail of yarn when you tie the pom-pom so you can fasten it to the tail end of the chicken. 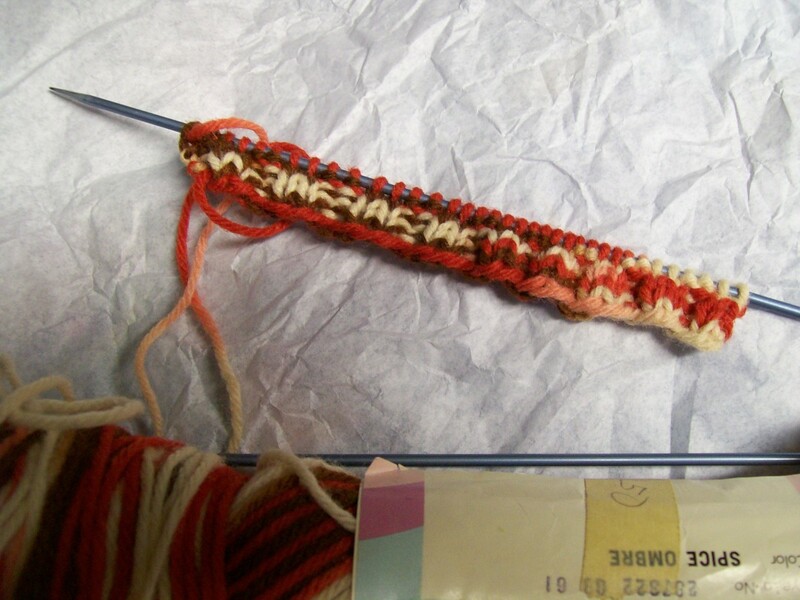 Novelty yarn used for the body instead of worsted weight yarn. 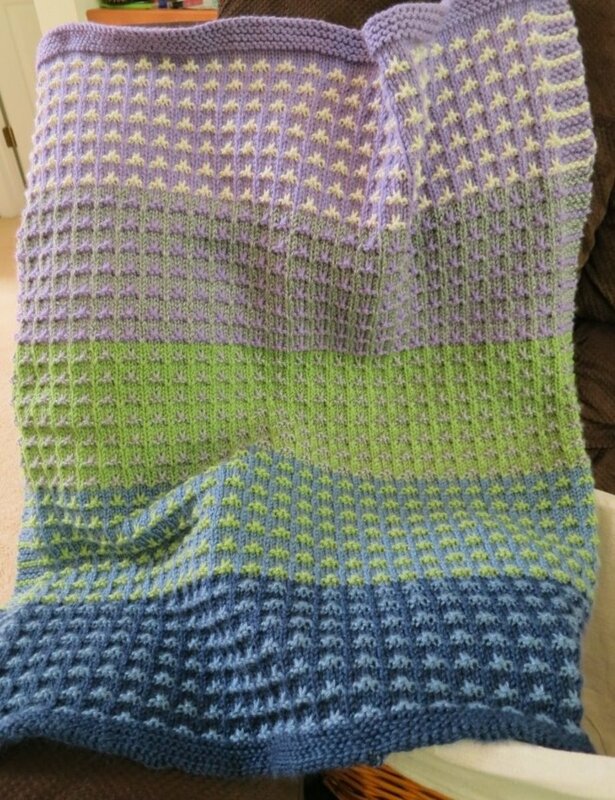 Used a worsted weight yarn for body in a variegated color. Cast on 36. Knit 2, Purl 2 for ribbing for 4 rows. Now make 20 rows of garter stitch (for the body) which is knitting every row. 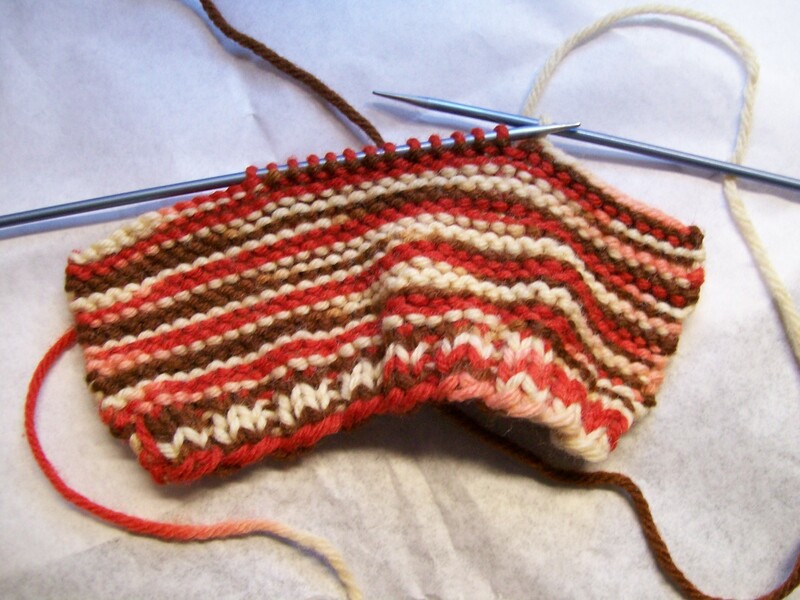 Bind off 11 stitches at the beginning of the next 2 rows (which will leave a center part to work for the head). 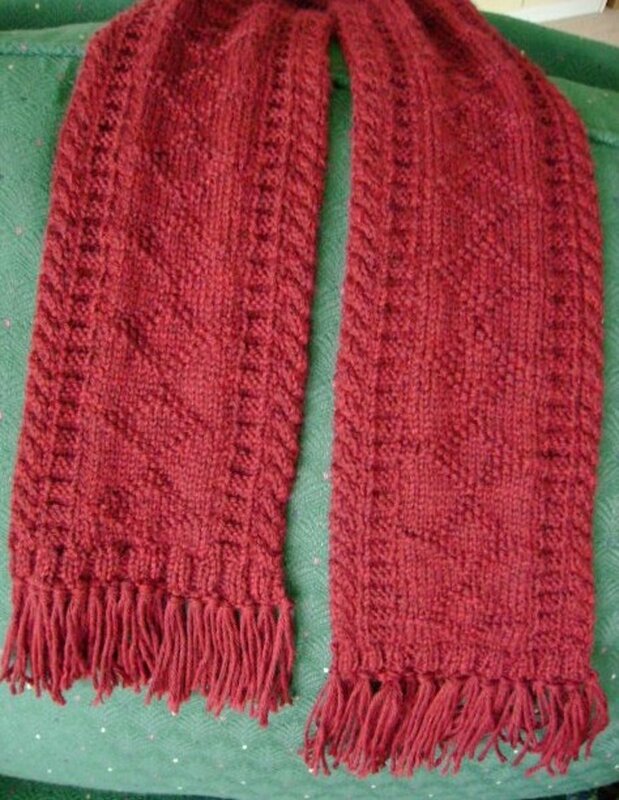 Make 12 more rows of garter stitch. Bind off the remaining stitches and leave an end for sewing the seam down the head/neck and across the back, and down the back end. Beak: With yellow, chain 3 and fasten off. Put in the middle of the head/neck piece where the fold will be when the seam is done. Tie the tail ends of the yellow inside the body (on the wrong side). 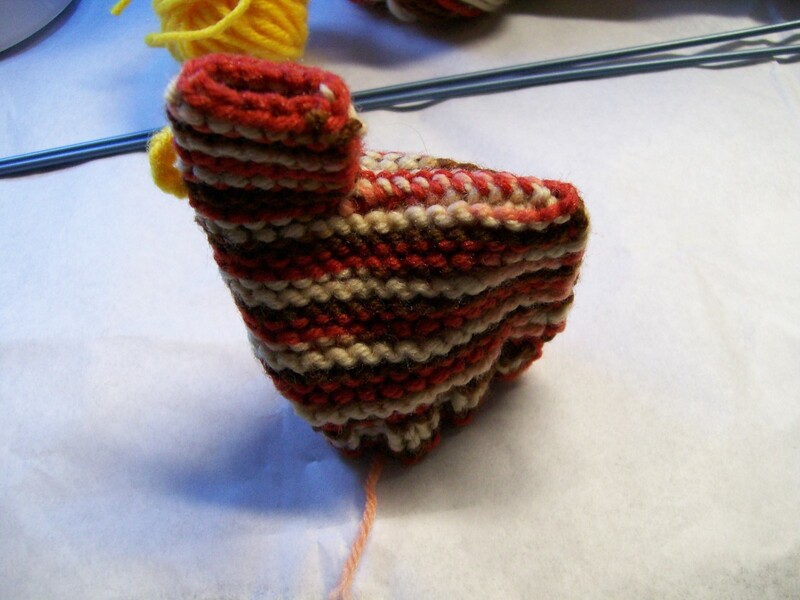 Now, Fold in half and sew the seam down the head/neck (leaving the top of the head open), down the back and then down the remaining open side to the bottom of the ribbing where the cast on was started, leaving the part at the bottom open for the egg. 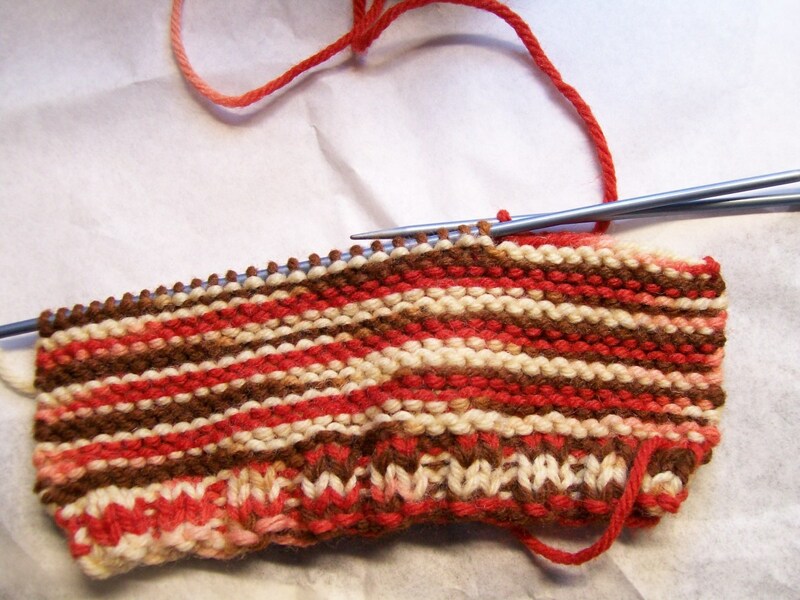 Comb: Made with the red yarn. 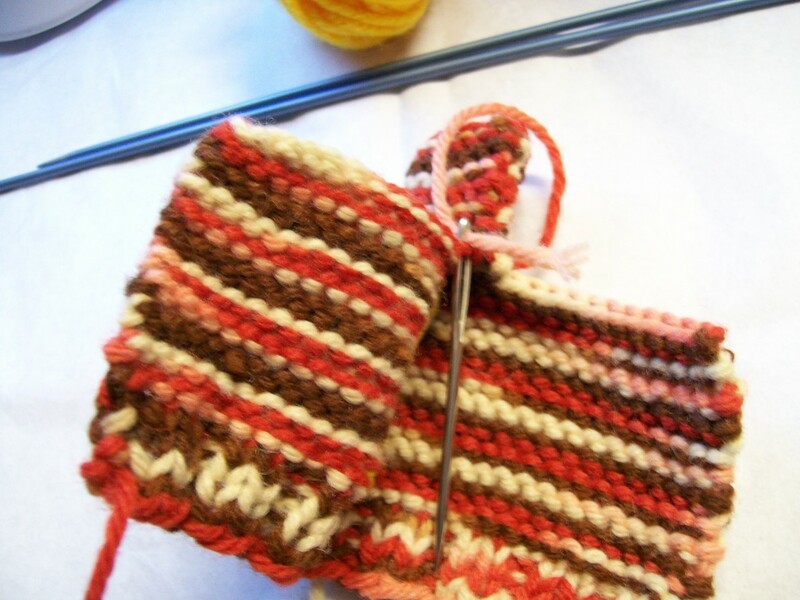 Join with slip stitch at the back of the head and work toward the front, working through both loops on the top of the head. 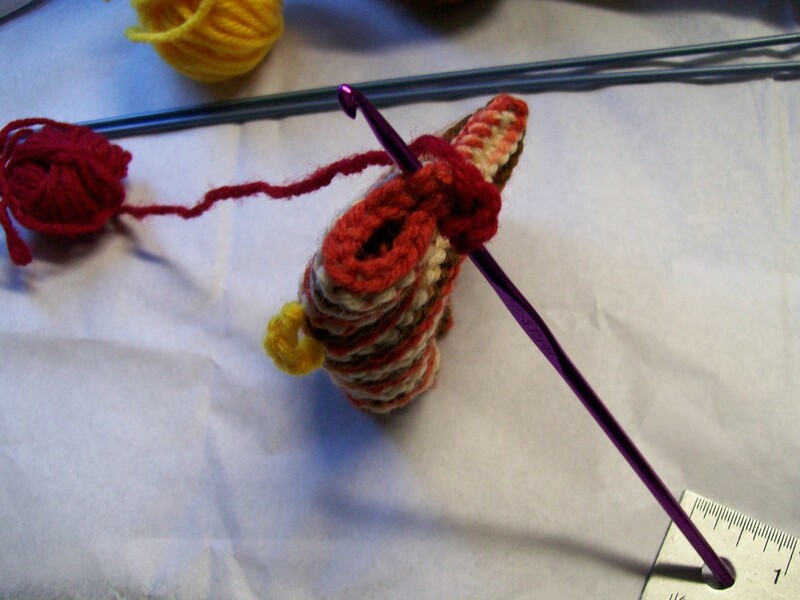 Chain 3, work 1 double crochet in each of the next 3 stitches, 1 half-double crochet in the next stitch, 1 single crochet in the next, 1 half-double crochet in the next stitch, 1 double crochet in each of the next 3 stitches, 1 half-double crochet in the next stitch, and fasten off. Hide ends inside the head/body. 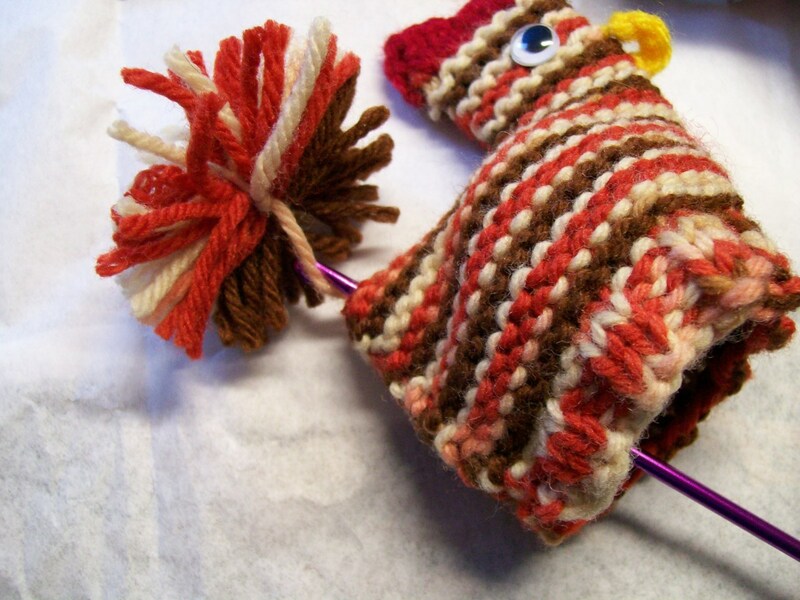 Make 2” pom-pom for the tail and sew on securely on the tail end of the chicken. Cast on 36 stitches. K 2, P 2 rib for 4 rows. Work 22 rows of garter stitch. Bind off 12 stitches as the beginning of the next 2 rows. 12 more rows of garter stitch for head. 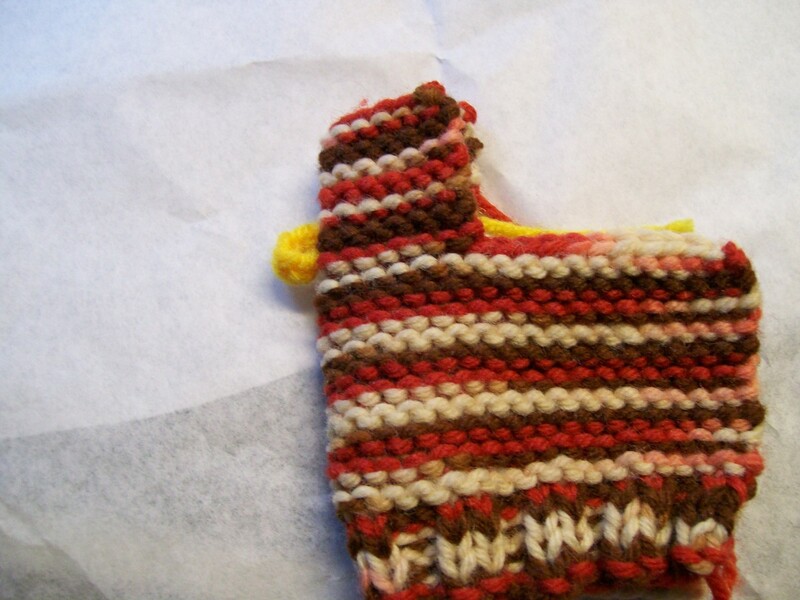 Finish as for above but use size F crochet hook for beak and comb. I experimented with a larger chicken to cover a L'Eggs egg (the L'Eggs pantyhose people used to have these in the 1970s with a pair of pantyhose sold inside a large plastic egg about 6" in length). Unfortunately, they have not had the L'Eggs eggs for many years, and patterns I have for other L'Eggs egg crochet covers (like a puppy and a penguin) won't work on anything else. Stuffing with colored tissue paper or maybe several eggs would work for the larger chicken. I'll leave that up to your design ideas. 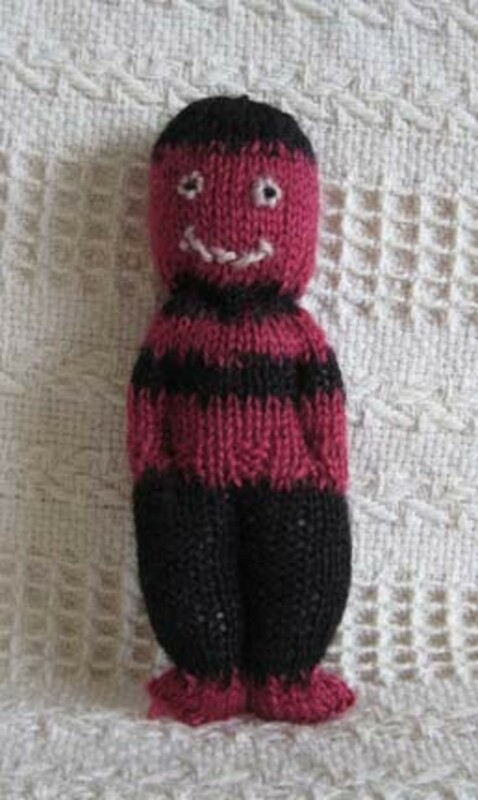 Actual size of Crochet Bunny using #10 Crochet Thread. About 1.5 inches with ears. Hand drawn showing stitches in the round. You can attach a pin or a magnet to the back to make this bunny decoration. It might even look cute attached to the handle of the Easter basket. 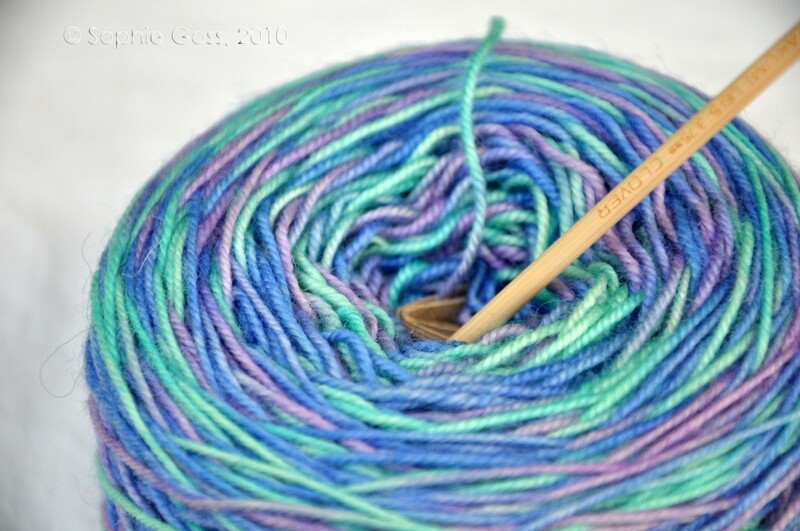 4-Ply Worsted Weight Yarn: You'll need it in white or a pastel color. 8mm Wiggle Eyes: If you don't want to use these, you can use felt to make an eye. 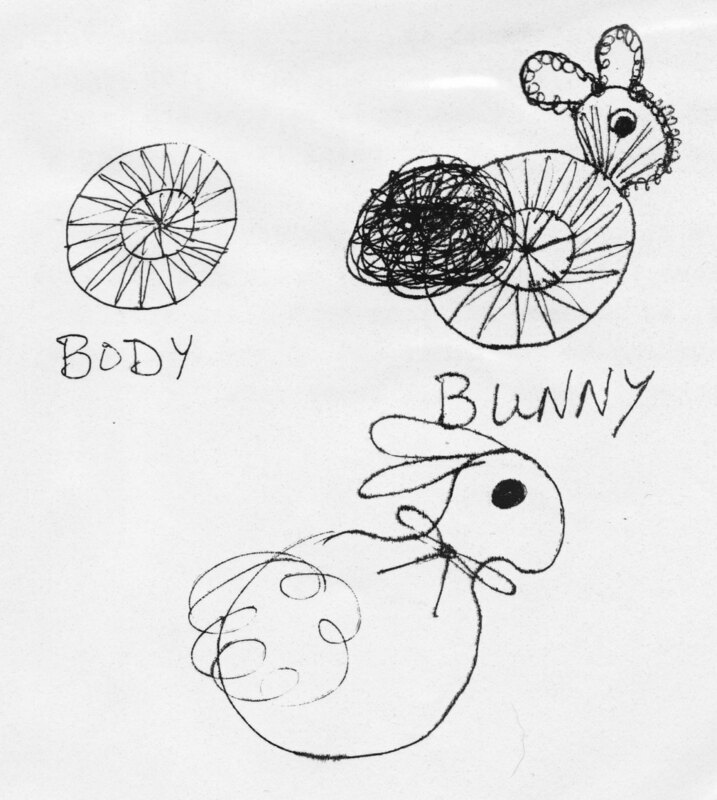 For the tiny bunny version, use a small black pom-pom. 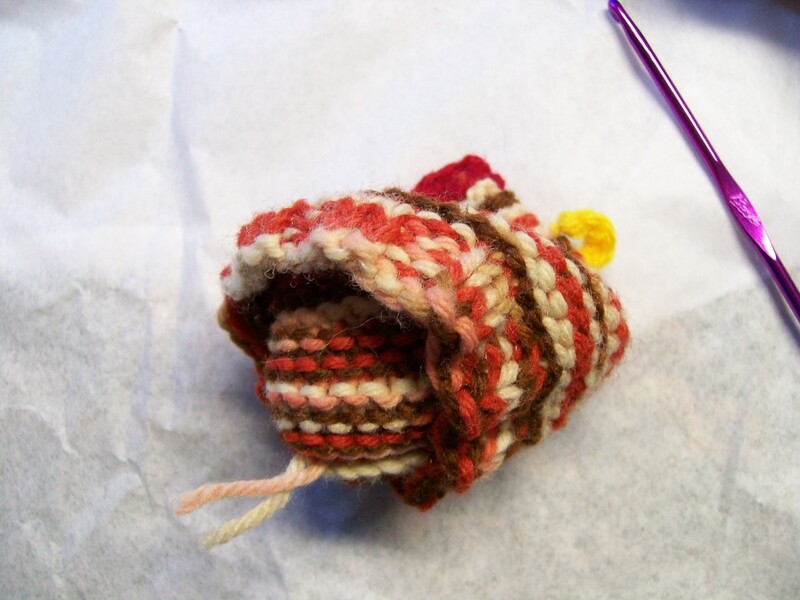 Pom-Pom Maker: You'll need to make a 1” yarn pom-pom for the tail. For the tiny one, use a 5-8mm size pom-pom. 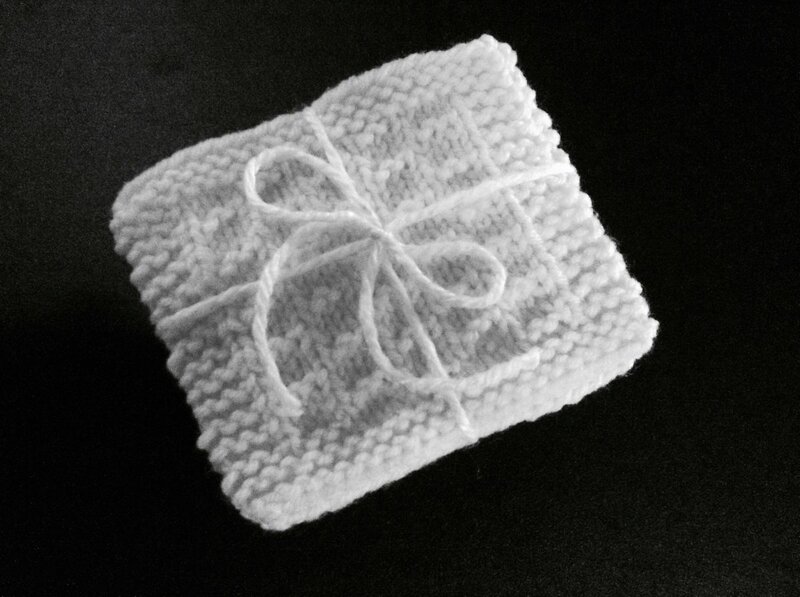 You can also make this with a size #10 crochet thread and a steel hook size 6 to get a tiny version. Magnet: I glue a small magnet on the back for a fridge decoration. 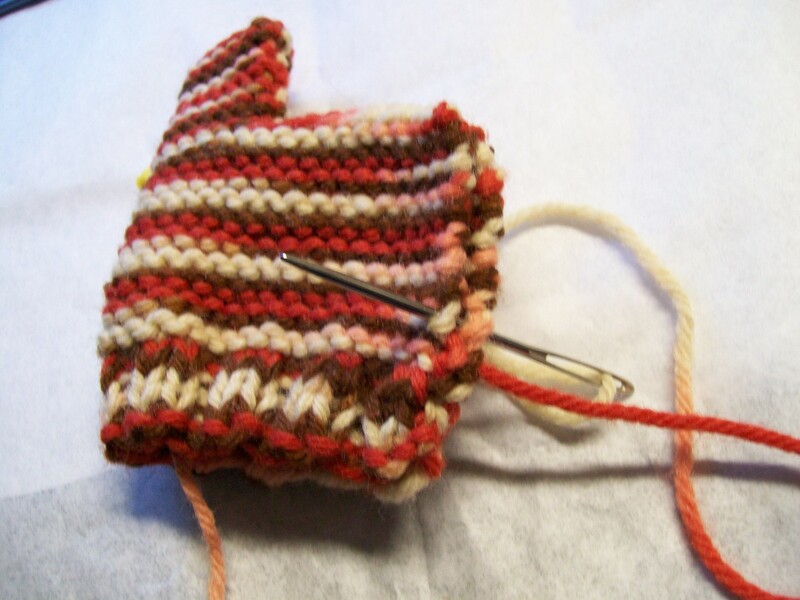 Chain 5, slip stitch to form a ring. Round 1: Chain 3, make 12 double crochet in ring (count chain-3 as one double crochet), slip stitch to top of beginning chain 3. Round 2: Chain 3, make 1 double crochet in same stitch as the beg chain 3, 2 double crochet in each stitch around, slip stitch to top of chain 3. DO NOT fasten off. 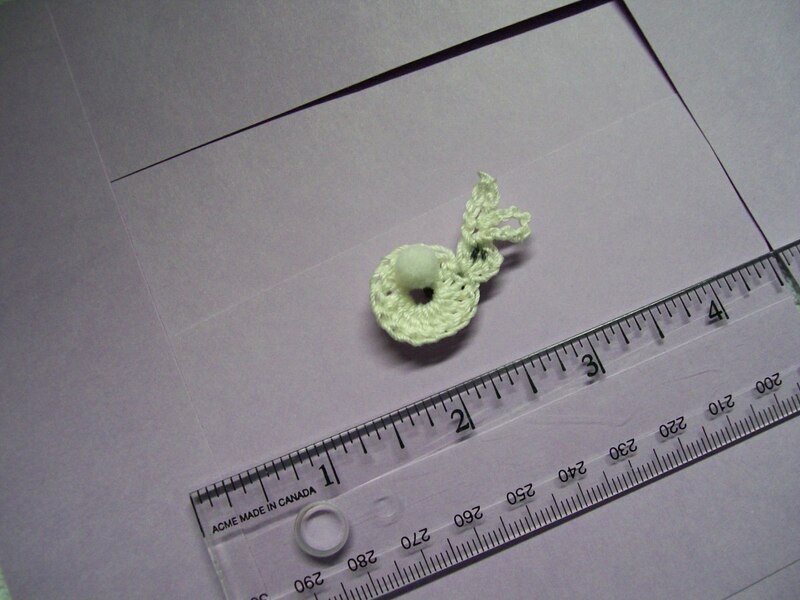 Head: Chain 3, Make 4 or 5 loose double crochets in the same stitch as the chain 3, chain 10, turn work. 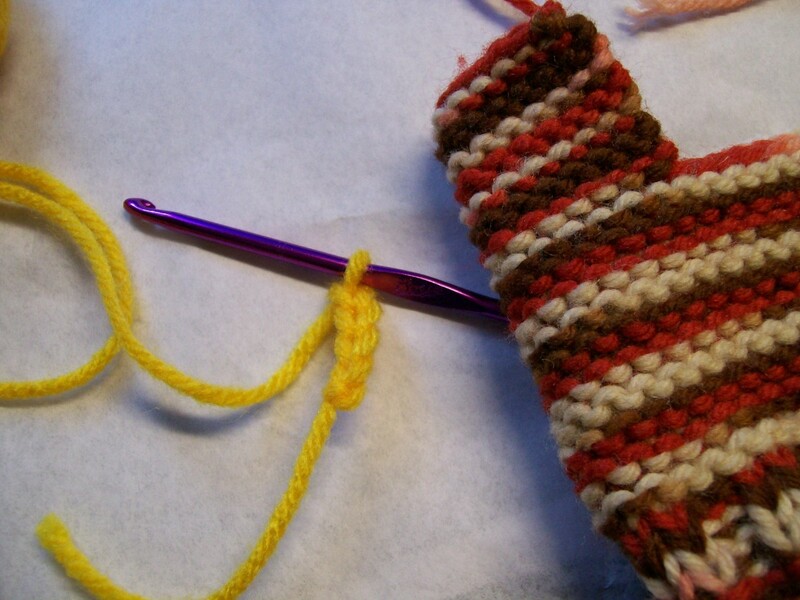 Make a single crochet between the last 2 stitches made, chain 10, single crochet between 2nd and 3rd double crochet. This forms the ears. Single crochet over the other double crochet made and down the side of the chain 3 to the “neck” of the bunny. Fasten off. Glue eye in place. Sew 1” pom-pom for tail in place. Can also tie a strand 8” long of yarn around the neck and make a bow. Updated with step-by-step photos of the chicken making process.